In order to be a starting third baseman at the major league level, you must be burly, country-fed, and hit for power. Your range has to come naturally, not only due to your cat-like reflexes, but also thanks to the fact that based on size alone, you lying down can get you somewhere. Apparently, no one told any of this to Ronald Torreyes. 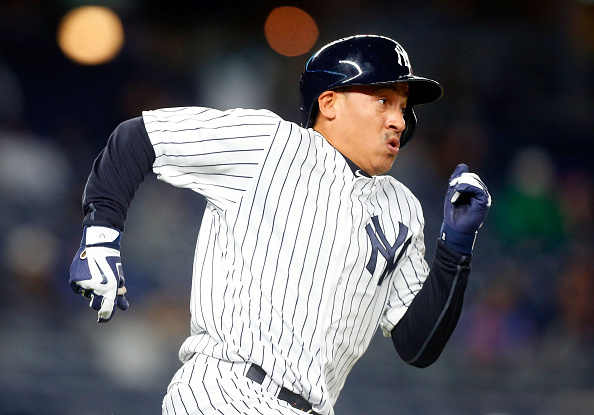 Every successful Major League Baseball team has a version of Ronald Torreyes. On good Red Sox teams, it’s usually a massive man whose beard takes up his entire face, and who spends his time grunting one in every fifteen balls offered to him over the Green Monster. In Atlanta, it’s a man with whispy blonde hair and a thinning goatee who looks like he just walked out of a bale of hay. You know the type. Every town’s got folk heroes. In New York, your current folk hero is a five foot tall human Jack-O-Lantern with an aged-cheddar face. Torreyes is 23, and he looks like Pablo Picasso. And he’s starting at third, showing no signs of stopping. 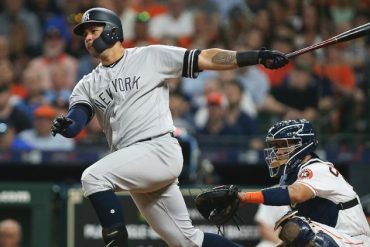 The man Didi Gregorius affectionately calls Lil’ To simply hasn’t stopped hitting since being inserted into the lineup in Anaheim and socking the first homer of his big league career. Based on his limited playing time and months-on-end spent on the bench, he’s currently averaging .287 with the one bomb and nine RBI (a number I thought would be higher, considering I can seemingly remember all of them). And Joe Girardi’s doing something he’s almost never done: riding the hot hand. Because now, more than ever, why not? Gary Sanchez, bless his heart, hit ten homers in the minors this season. He’s hit eleven in the bigs since I started typing this sentence. 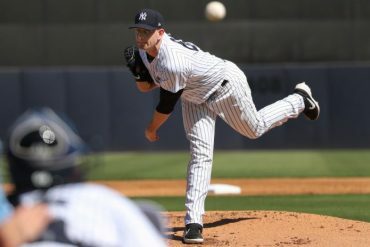 Luis Cessa and Chad Green were the nonsensical offerings in a Justin Wilson trade that made no sense. Now they’re two-fifths of a thriving rotation. Why can’t Ronald Torreyes start, in this world? It defies logic and reason. 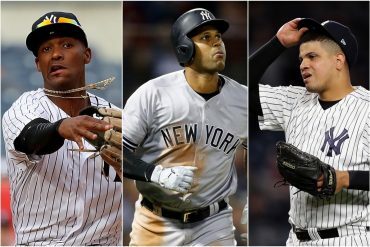 So does the fact that Torreyes is listed at 5-10 on MLB.com (give me a break). 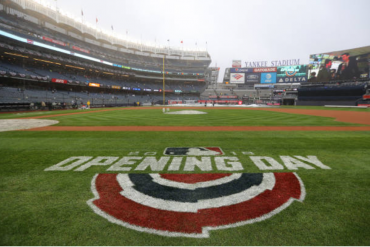 But if the Yanks are going to make a move in September, those are just two of the many things they’ll have to defy. Keep. Playing. The kid. For Torreyes reminds me of all the weird moving parts on all the great Yankee teams I grew up loving. Nobody else knew who they were or why they were doing what they were doing. 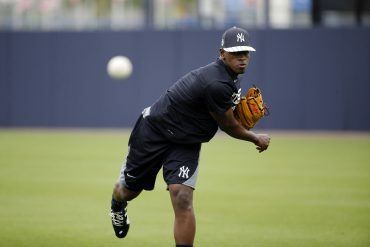 Luis Vizcaino’s goggles made no sense, but they would’ve made a great Halloween costume for me. 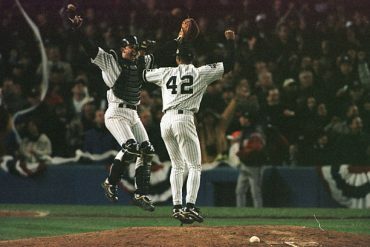 Luis Sojo didn’t look like an athlete, but I dare you to tell me he wasn’t. I mean, for the love of God, this guy’s got “Torre” right there in his name. He’s got the Torre Eyes. Tell me you see it. I don’t know what the heck Ronald Torreyes is. But what I do know is that he’s a slap hitter who needs to be lifted up by his teammates in order to hi-five people. And I also know that he’s making Chase Headley pretty mad. Headley comes off rough in all this; after all, I’d re-flipped on Headley, who’s been quite solid since May. But to be upset about losing your job to Ronald Torreyes? Sorry, Chase. Don’t you see there’s something weird happening here? You’ll probably have your job back within the month. But for now, it’s time to embrace the weird. Let the little man bat right after Aaron Judge and create the weirdest visual in team history. Let the big hits keep coming from both the Sanchize and from the man who’s skinnier than an actual Pinstripe. I love and am confused by Ronald Torreyes. Embrace the weird. As Gary Sanchez always Tweets, we’ve got nothing to lose and nothing but belief.